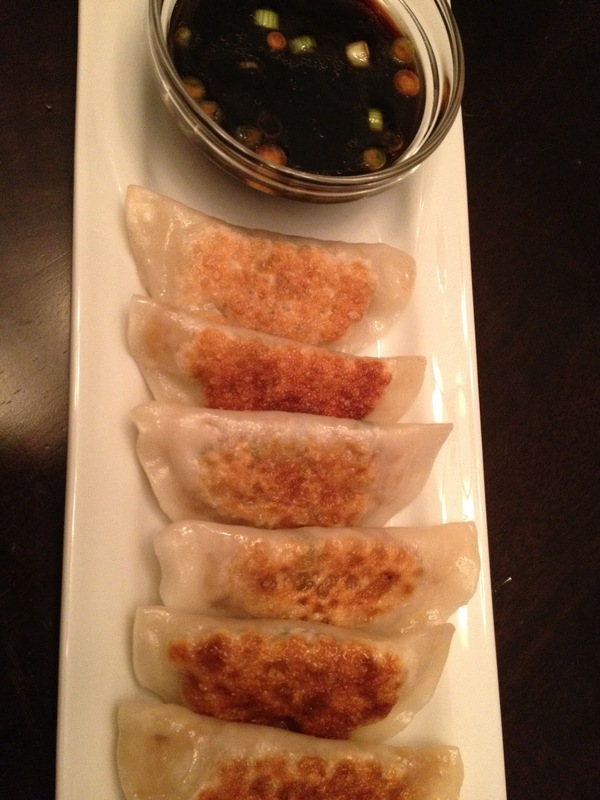 Home cooked perfection…better than any restaurant! 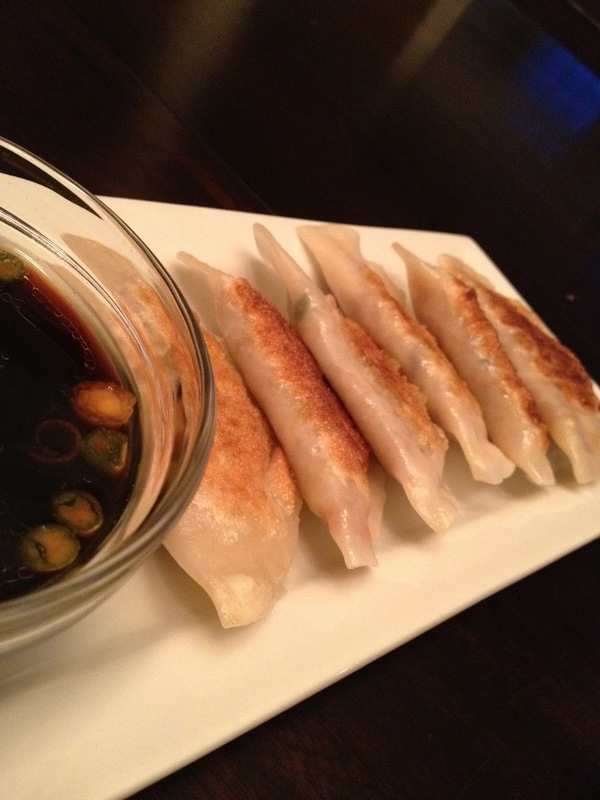 The assembly of the potstickers is a little fussy but, if you are organized, totally worth it. They are amazing right out of the pot and cold too. I served these at my first ever pot luck and there was not one left. Make the sauce first. It is easy: combine all the ingredients. Take a wrapper and wet around the edge with your finger. Put a heaping teaspoonful of mixture in the middle. Fold it in half on the plate and press down to seal the edges. Then pick it up and press it to make sure the whole thing is sealed. This next part is the key to potsticker perfection: you have to add a little water, say 1/3 of a cup depending on your pan, and steam them with the lid closed for a minute or two to completely cook the wrappers. This is a little messy/scary as the oil splatters when you pour the water in. I tried it in a non-stick pan and it was worse. Hold the lid in front of you and pour the water in on the side and the close the lid. You will get the hang of it by the second or third round. So, pour the water in and cover immediately with the lid. Let them steam for a two or three minutes. Take them out and drain them on a plate with a paper towel. You can dab the top too to get the excess oil off. Serve the with the dipping sauce (allow for double dipping). And they are great cold, too. Enjoy!